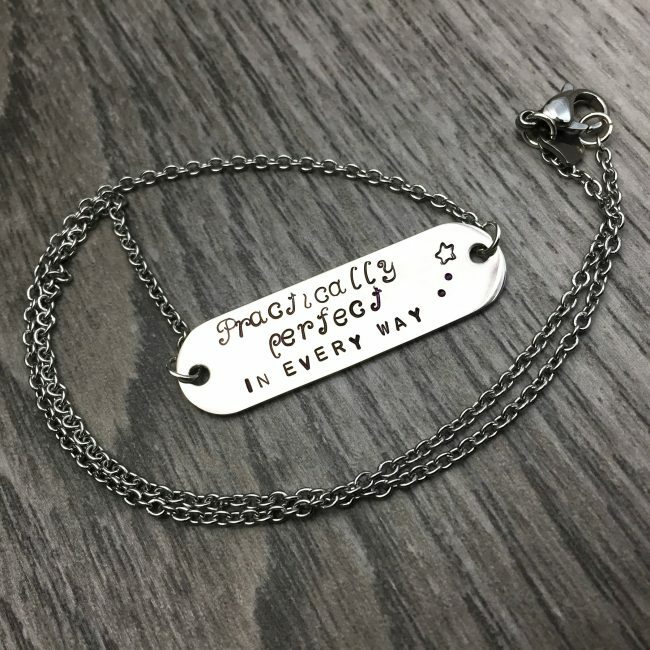 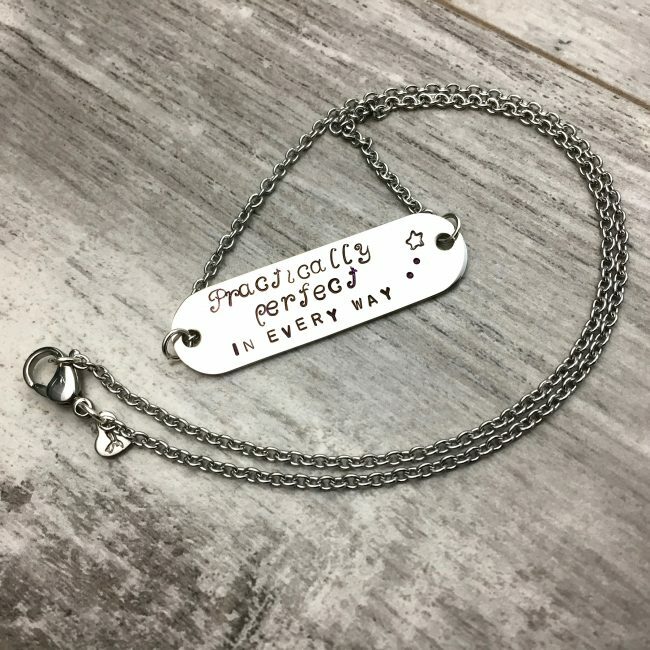 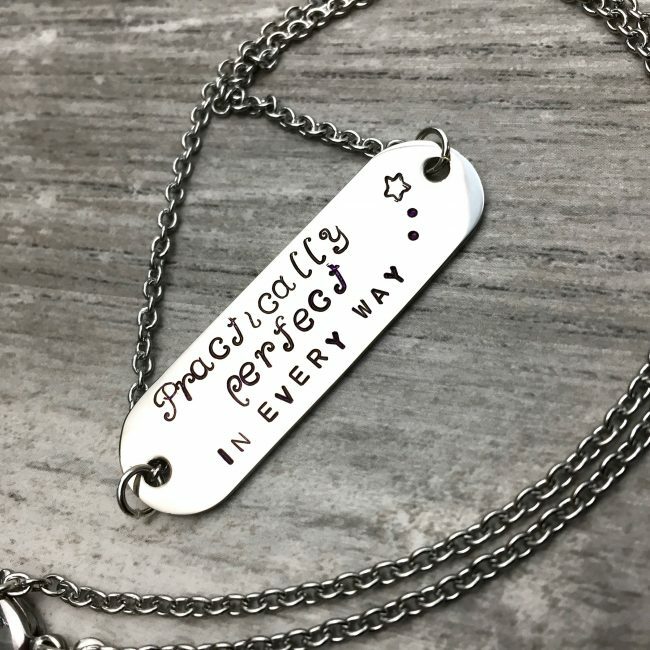 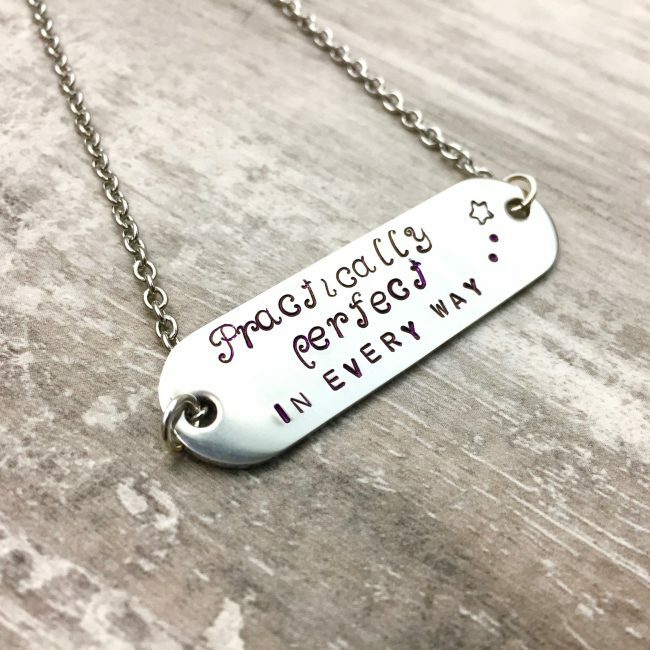 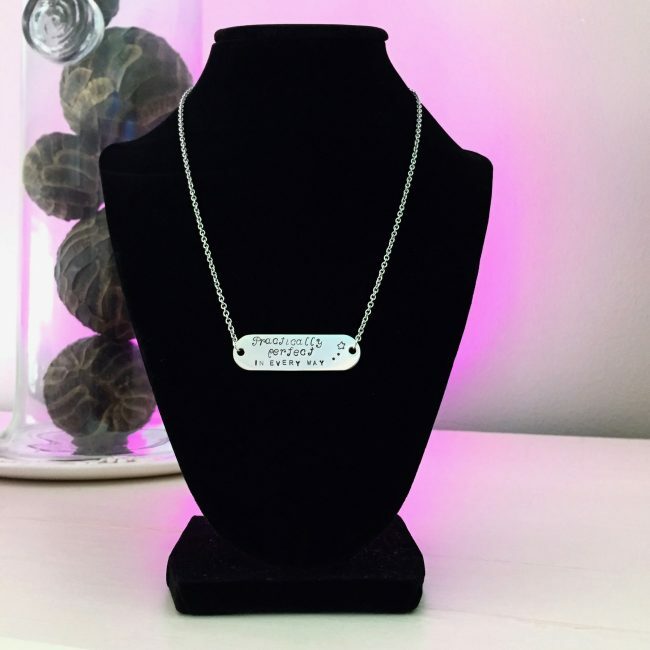 This hand stamped necklace is ‘practically perfect in every way’! 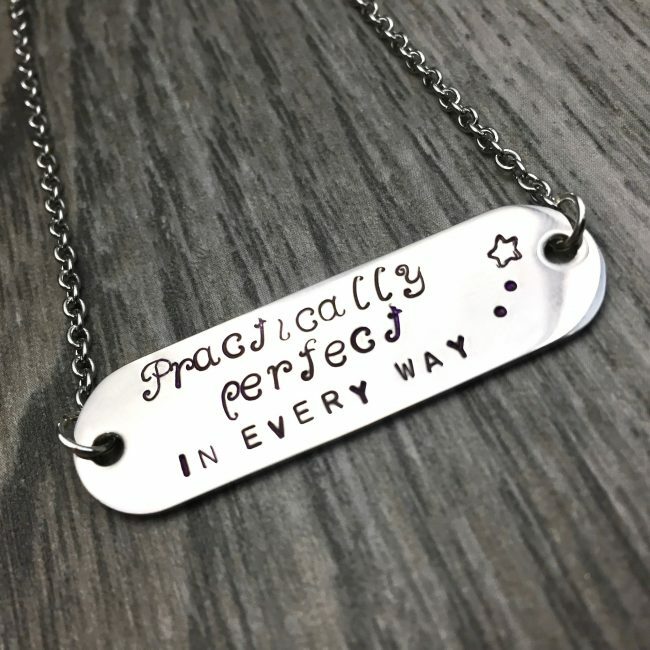 Super shiny and attached to 16 inches of heavy duty chain. Fitted to 16 inches of heavy duty chain.